From 2 June on payment for housing and communal services is authorized to print only social advertising and informational data. All offers fell under the ban. 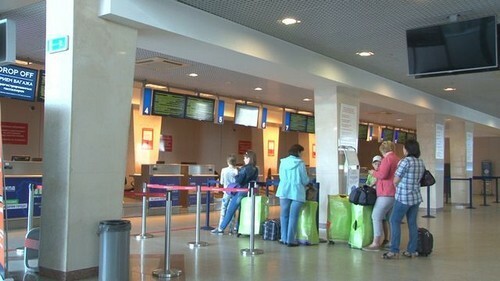 June 4, the airline can not sell tickets to passengers, blacklisted airlines for disorderly conduct on Board the aircraft. This list includes citizens, if there is in force a resolution on the imposition of a fine or sentence of the court. But the blacklister in special cases will still be able to buy a ticket. For example, if it returns to Russia from countries with which there is only air transportation, or rides to treatment, for the funeral of a relative, accompanies the passenger with a disability. The limit for aviakerosene will be effective for one year. About blacklisting the airline must inform the passenger in written form. From June 1, operators are required to deactivate a subscriberif the accuracy of the information about the caller (name, date of birth, passport details) has not been confirmed. Now information about the target subscribers and must provide legal entities and individual entrepreneurs who buy Sims packs for their employees. And mobile operators are obliged to verify the accuracy of information about users of SIM cards specified in the contracts. They provided access to information systems of government agencies. Operators are also obliged to disconnect the subscriber at the request of the police, FBI, or orders of Roskomnadzor, if within 15 days of the subscriber personal data will not be confirmed. Written consent to the transfer of personal data the operator is not required. “We are finalizing our systems to confirm data through the state information system. We have also conducted additional analysis of the contracts of customers on a specially designed algorithm. If there is suspicion that the data in the contract may be wrong, ring up customers with an offer to come to the office and to submit the correct passport details. The procedure takes about 5 minutes,” — said of the Network of city portals Liliya Gumerova, the press-Secretary of “VimpelCom” (Beeline). Check database operators will be Roskomnadzor in the course of routine inspections and collaboration with the interior Ministry raids on places of illegal sale of SIM cards, said in a Supervisory Agency. If it finds contracts with inaccurate data of the subscriber, the operator will pay a fine of 30-40 thousand rubles. 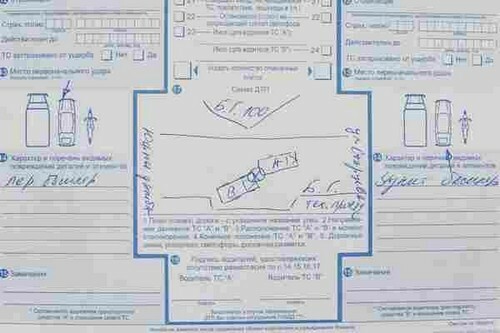 From June 1 to the loan agreement between citizens should be concluded in writingif its sum exceeds 10 thousand rubles. Informed written agreement was only required in the case where the sum exceeded the minimum wage in 10 times (from may 1, 2018 Federal minimum wage — 11 163 rubles). From June 1 the jury in the regional courts will consist not of 12 but of 8 people. The jury will now hear criminal cases on especially grave crimes against the person also in the district and garrison military courts. Here the panel will consist of judges and 6 jurors. Another innovation is to apply for cases of particularly serious criminal offenses in the regional courts with participation of jurors can now not only men but also women. From 1 June the maximum amount of payment for insurance when making an accident without participation of police officers upgraded to 100 thousand rubles. In Moscow, St.-Petersburg, the Moscow and Leningrad oblasts from June 1 accidents can be issued without the participation of the police, even if there are disagreements among the participants of road accidents. But the differences in this case should be fixed in the filled form of the notice on road accident. In other regions of Russia similar rule will be effective from October 1, 2019. From 24 June 2018 in areas of the loan must include the datewhen you will start accruing interest on the loan, or the procedure for its determination. In the calculation of the total cost of credit, banks must now include the amount of the insurance premium. Banks are also obliged to inform customers about the higher risks of foreign currency loans and to prescribe in the contract the approximate amount of monthly payment (in the square frame to the right of information about the total cost of credit numbers and capital letters). From June 27 radiators and heating convectors are sold in Russia and imported from abroad, must have a mandatory certificate of quality and safety. This means that they all have to meet the requirements of GOST 31311-2005 “Instruments heating. General technical conditions”.